What is National Council of Jewish Women of Canada, Toronto Section? NCJWC is a non-profit organization committed to enhancing the lives of individuals within our own community and in the broader multi-cultural community through education, service and social action. The Passover Food Drive is its largest service project and is entirely a volunteer effort. How and Why did the Passover Food Drive begin? The Passover Food Drive began in 1983 when members of National Council of Jewish Women of Canada, Toronto Section (NCJWC-TS) observed that there were some members of their community in need of food during Passover. With the thought that all those within our community should be able to celebrate Passover with dignity and pride, the Passover Food Drive was born. In 1983, 25 Kosher for Passover food boxes were packed and delivered and today we deliver over 2500 boxes. It is an all-inclusive community based program, which involves children and adults alike in over 500 volunteer positions. How does the Passover Food Drive work? The miracle of the Passover Food Drive is the community involvement – schools and community food donations, sponsors and financial donors all make this an inclusive community project. Passover Food Drive is the largest of its kind in Canada. We work together with social service agencies and charitable organizations to provide necessary food boxes to members of the Jewish community who would otherwise not be able to celebrate Passover. How does the Passover Food Drive obtain its food? Monetary donations are vital to the Passover Food Drive. It would not be possible without the generous support of our corporate partners and individual financial donors in our community. The cost of Kosher for Passover Food is prohibitive and 90% of the food is purchased at wholesale prices. Every box is packed with love, care and consideration. Every box is packed with the same items. Food donations are made through school collections and at various food drop-off locations around the GTA. This food is then collected by volunteers and brought to the Food Drive headquarters where the food is sorted, packed and then delivered. The cost of Kosher for Passover food is prohibitive for individuals living in poverty. It is estimated that over 10,000 individual meals can be made from the Passover Food boxes. Social service agencies and charitable organizations in the GTA refer people who have inadequate financial resources and wish to be included in this project. The challenge is to meet the needs of the financially disadvantaged in our community. This may include someone who is: ill, senior, a newcomer to Toronto, recently divorced/widowed, unemployed – all with limited financial resources. All recipients are referred to the program. If there is someone you would like to include, please speak to your social services representative or community organization. How is the food distributed on Delivery Day? 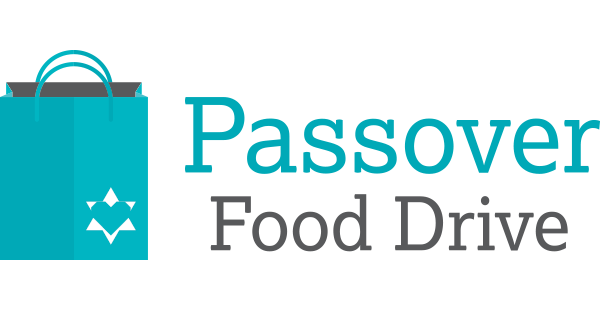 The Passover Food Drive, with the help of the many volunteers, and the community at large, delivers the food boxes within the GTA. Volunteer drivers are given boxes to deliver on a specific route. Where is the Passover Food Drive Headquarters? The Passover Food Drive is held at the head office of National Council of Jewish Women of Canada, Toronto Section, often referred to as Council House, 4700 Bathurst Street, Toronto. The auditorium in Council House is transformed into the Passover Food Drive warehouse, where the boxes are packed and held until Delivery Day. How long does it take to plan the Passover Food Drive? The Passover Food Drive is planned a year in advance. How many volunteers are there and what type of work do they do?